Mazu (709-788, 8th generation) was the disciple of Nanyue (677-744, 7th generation), who was a disciple of the 6th Patriarch, Huineng (638-713). 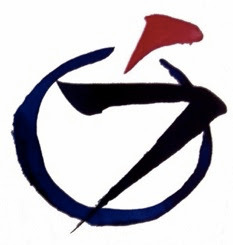 Mazu is the founder of the Hongzhou school, from which the the Linji and the Guiyang Houses of Zen derived. Mazu reportedly had 139 Dharma successors, including Baizhang and Nanquan. Mazu appears in five of our koans: GG #30, GG #33, BCR #3 (BOS # 36), BCR #73 (BOS #6), and BCR #53. A monk asked Mazu in all earnestness, "What is the Buddha?" Mazu replied, "No mind, no Buddha." If you can see and grasp what was said here, your Zen study is finished. You should not offer a poem unless you meet a poet. You should never give the remaining part. That is the Buddha, this is the world. There is neither Buddha nor world. A seeker asked Mazu, "Why do you say mind is Buddha?" Mazu said, "To get children to stop crying." The seeker asked, "After the crying stops, then what?" Mazu said, "Not mind, not Buddha." "Mind itself is Buddha" -- don't seek arbitrarily. "Not mind, not Buddha" -- stop searching elsewhere. A dot of coolness removes the torment of the heat. "No mind, no Buddha!" -- the talk changes. Zen students all over the country can hardly see it. You are free to run barefoot over the sword-mountain. "Mind is Buddha" is like a dragon without horns; while "No mind, no Buddha" is like a snake with horns. If a student were to seek Buddha outwardly, Mazu would say, "This mind of yours is Buddha," pointing to the inner understanding of the student. If the student were to picture Buddha within, the master would say, "This mind is not Buddha," crushing the inner image, to reveal the formless and independent mind of the student. Mazu sent his first medicine, "This mind is Buddha," out into the market, but soon had to issue a new formula for an antidote when people began taking overdoses of the medicine. If he were living in our day, Mazu might have said, "The true Buddha is neither within nor outside your mind. There exists no such thing to be called 'mind.' When you say 'mind,' you are wrong. When you say, 'Buddha,' you are quite mistaken." We should know that both mind and Buddha are concepts. However deeply we may search for our mind, we will never find it to have form, color weight, or a place of abode. In a word, it is empty. When we fell joyful, it is very clear to us that the joy arises out of our mind, but of itself, joy has no substance. We cannot show others what it looks like, for it too is empty. In the same way, all the activities of the mind are, in the end, totally void. The Buddha is many things, including my body and yours, including the earth with its awesome vitality. But after a while you will use up the term Buddha, just as you use up any object or concept, just as you use up yourself. In about half a day of cooking with Buddha and worrying as Buddha, you will have had enough. I wonder that Mazu could say, "This very mind is Buddha" more than once without getting disgusted with himself. The philosophical answer is made as follows: "No mind, no Buddha" is a negative statement. It protects against mistakes, shuts out faults, crushes attachments, and thus takes away all discriminating consciousness. To those who rely on intellectual interpretations and cling to them, Mazu says, "No mind, no Buddha" in order to take away their attachments. That is a good philosophical explanation, but Master Mazu's answer has to be taken up as a Zen koan. The Buddha asked about here is Buddha as the fact of one's religious experience in Zen, and there is no concern with its philosophical meaning or theoretical interpretation. "No mind, no Buddha" is of course a direct expression of Mazu's religious experience, and if one fails to grasp his answer in this sense, it loses its life and real significance as a Zen koan. One has to work personally with it in his training and himself be "No mind, no Buddha." What is "No mind, no Buddha"? Cast away all intellectual understanding and plunge into it with your whole being. Unless you grasp its truth as a fact of your own experience you can never really appreciate what Zen is. Snowflakes are beautiful because they are gone. Flowers come after, also gone, gone before they arrive. All long departed: beauties of absence.